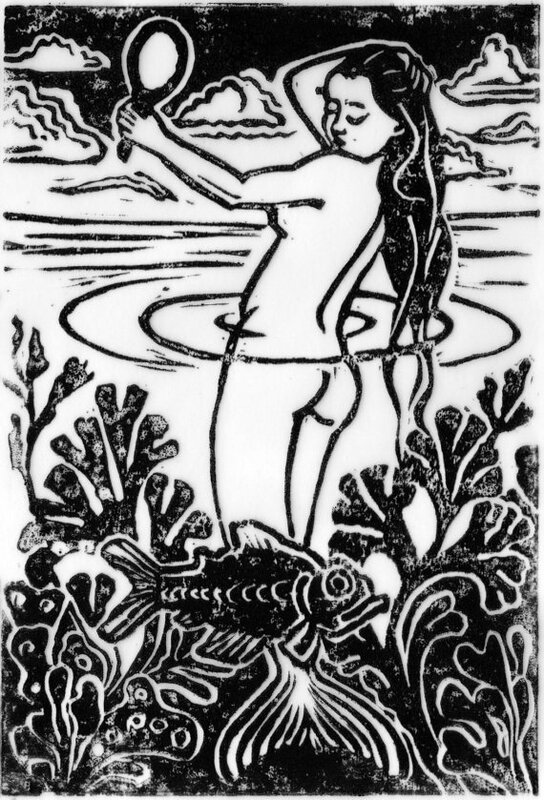 This mermaid kalipygos ('beautiful bottom') is the frontispiece illustration to the paperback edition of Milton Marmalade's 'A Mermaid in the Bath.' The original is from a lino print by Martin Dace, who did the other illustrations in the book. This and other illustrations are available from Martin's Etsy site. 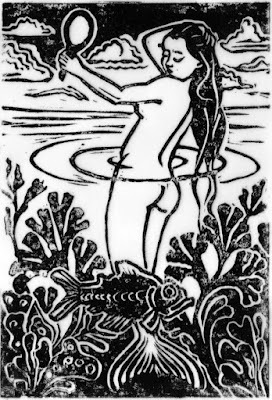 The edition of each print is limited to 30 copies, so order now before 'A Mermaid in the Bath' becomes a cult classic!